A LASIK enhancement is a follow-up LASIK procedure that sometimes is performed if the outcome of your original vision correction surgery is unsatisfactory or if your vision changes significantly over time. In most cases, you can expect a good result following a LASIK procedure. Due to continual improvements in LASIK technology and procedures, retreatments are seldom needed these days to enhance visual acuity. In fact, a study published in 2016 showed that the rate of retreatments among an experienced group of LASIK surgeons declined from 4.5 percent in 2005 to less than 0.2 percent in 2012. But as your eye doctor will tell you before you have LASIK surgery, not everyone will achieve crystal-clear, 20/20 vision after just one procedure. Each case has a unique combination of variables that can affect visual outcomes. So in some instances, you may need additional eye surgery — often in the form of a LASIK enhancement — to give you the sharpness of vision you desire. Although LASIK successfully corrects high degrees of nearsightedness, farsightedness and astigmatism, younger people with mild nearsightedness and astigmatism generally are the best candidates for a good outcome. Your expectations before LASIK also play a key role in how happy you are afterward. Remember, the goal of LASIK is to decrease your dependence on glasses and help you to see acceptably well without corrective lenses. Results vary from person to person. Although many people who have had LASIK believe they see better than they did with eyeglasses or contact lenses before surgery, not everyone has the same experience. After LASIK, you can expect your vision to be slightly better or about the same as it was with glasses. A small percentage of people may notice their vision is not quite as good after LASIK as it was with glasses before the procedure. But you should be able to drive safely and perform other routine daily tasks without glasses or contact lenses after vision correction surgery. When is a LASIK Enhancement needed? Don't panic if your vision isn't perfectly clear immediately after LASIK surgery. When evaluating your vision after LASIK, it's important to be patient (no pun intended). Although you should be able to see much better without glasses the day after surgery, it's not unusual for vision to fluctuate for several weeks. As part of your follow-up care after LASIK, your eye doctor will monitor your vision for several weeks to months. Though not expected, it's possible that you may feel uncomfortable driving or performing other visual tasks after LASIK. If this occurs, be sure to tell your eye doctor. If necessary, he or she can prescribe new eyeglasses for you to wear part-time until your vision improves and stabilizes. If your vision is still noticeably blurred three months after LASIK, you may need an enhancement. 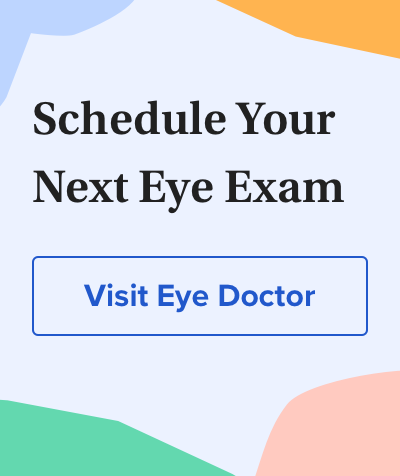 To determine whether you're a good candidate for a LASIK enhancement, your eye doctor will re-evaluate your corneas with the same methods used prior to your first LASIK procedure. Among other considerations, your eye doctor will check to see whether you have enough corneal thickness for a second surgery. If there is too little refractive error remaining after LASIK for another laser treatment or you aren't a good candidate for a LASIK enhancement procedure for other reasons, wearing eyeglasses on a part time basis might be beneficial to sharpen your vision when needed. For the best comfort and clarity, choose eyeglass lenses with anti-reflective coating. This coating eliminates distracting reflections and provides sharper vision in low-light conditions such as driving at night. Many people find wearing progressive lenses offers the greatest convenience after LASIK because these line-free multifocal lenses provide clear vision at all distances without the need to carry a separate pair of reading glasses. It also might be worthwhile to invest in high-definition lenses that can correct higher-order aberrations that regular eyeglasses cannot address. And if you are sensitive to light after LASIK surgery, ask about photochromic lenses that darken automatically in response to sunlight for greater comfort outdoors. How does it compare with a primary LASIK procedure? A LASIK enhancement is nearly identical to a primary LASIK procedure, except for one aspect. Rather than using a microkeratome or laser to create a corneal flap, the surgeon performing a LASIK enhancement uses specialized tools to lift the flap that was created on your eye's surface during your primary LASIK surgery. Re-lifting the flap is painless and typically takes only one or two minutes. Then your surgeon uses an excimer laser to reshape your cornea. Typically, only minimal additional reshaping of the cornea is necessary during an enhancement. So this laser treatment takes just a few seconds. After the enhancement, you will receive the same post-operative instructions that you were given after your primary LASIK procedure. Be sure to follow your doctor's instructions exactly to reduce the risk of eye infection and facilitate a good visual outcome. In most cases, only one LASIK enhancement is necessary to restore vision to an acceptable level. However, in difficult cases, more than one enhancement may be required. How much does a LASIK enhancement cost? Many surgeons do not charge an additional fee for LASIK enhancements performed within one year of a primary LASIK procedure that they performed themselves. But pricing policies can vary considerably among refractive surgeons and surgery centers. When choosing a LASIK surgeon, ask about policies and fees for enhancement procedures and the additional follow-up care needed if a LASIK enhancement is performed. LASIK enhancement surgeries can be performed to improve eyesight after refractive procedures other than LASIK, such as phakic IOL implantation and refractive lens exchange (RLE). And in some cases, procedures other than LASIK may be used for enhancements. For example, a refractive surgeon may prefer PRK rather than LASIK for an enhancement because he or she doesn't need to create or re-lift a flap for PRK. For enhancements done many years after the original LASIK, PRK is preferred by most surgeons, as it generally carries less risk of surface cells growing under the flap (epithelial ingrowth). LASIK and PRK enhancements also can be used after cataract surgery to eliminate residual refractive errors and sharpen vision. If you have had LASIK or any other type of refractive eye surgery (including cataract surgery) and believe your vision isn't as sharp as it should be, visit your eye doctor to see whether an enhancement procedure is right for you. Factors predicting the need for retreatment after laser refractive surgery. Cornea. May 2016. How Soon After LASIK Can I Resume Normal Activities? How Long Does LASIK Last? Is It Permanent? Can I Drive Home After LASIK? How Long Is the LASIK Recovery Time?